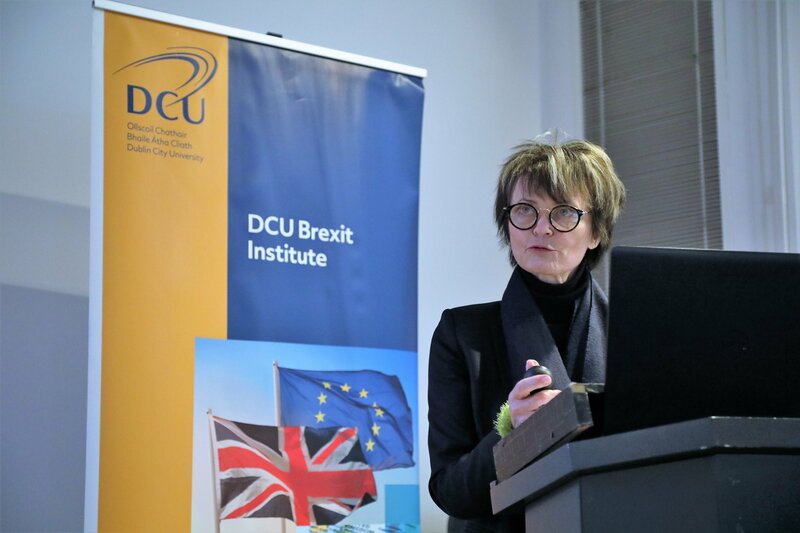 On Thursday, 31st January 2019, the DCU Brexit Institute hosted an conference event entitled “Brexit and Agri-Food” at the Helix, Dublin. The event was opened with keynote speech by Madame Micheline Calmy-Rey, a Former President of Switzerland who spoke widely on the Swiss experience of European Union negotiations and borders. The event also featured a panel discussion with leading academics and industry specialists. The panel included Eric Clinton (Dublin City University), Shane Hamill (Bord Bia), Cathal O’Connor (AIB), John Jordan (ORNUA) and Paul Wilson (Monaghan Mushrooms) . The panel was chaired by Matthew Dempsey (Irish Farmers’ Journal).